Our support doesn't stop once your event is booked. While your event is in full swing, we're still hard at work for you and your attendees, ensuring everyone's enjoyment of the conference and the Greater Lansing area. 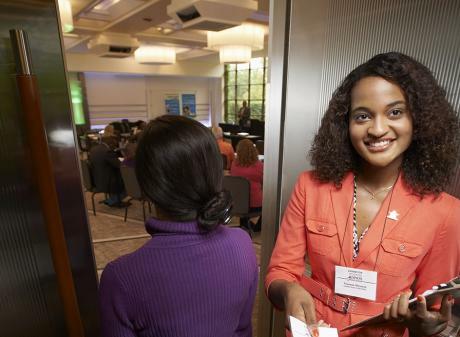 We have a lot of ways to remain hands-on during your event, here are a few examples! Our portable Information Booth can be set up and staffed during your event to serve as a source for answering local questions and providing information to your attendees. If your attendees are looking for recommendations on where to dine, then ask us about our Restaurant Reservation Booth in the Lansing Center. We provide menus from area restaurants, as well as a uniformed staff member to answer questions, give directions and phone in reservations. Let us take the hassle out of registration! Our on-site, uniformed registration staff will take care of distributing name badges and registration packets, checking in attendees and processing on-site registrants. Our personnel have many years of experience and take a professional approach to your registration needs. 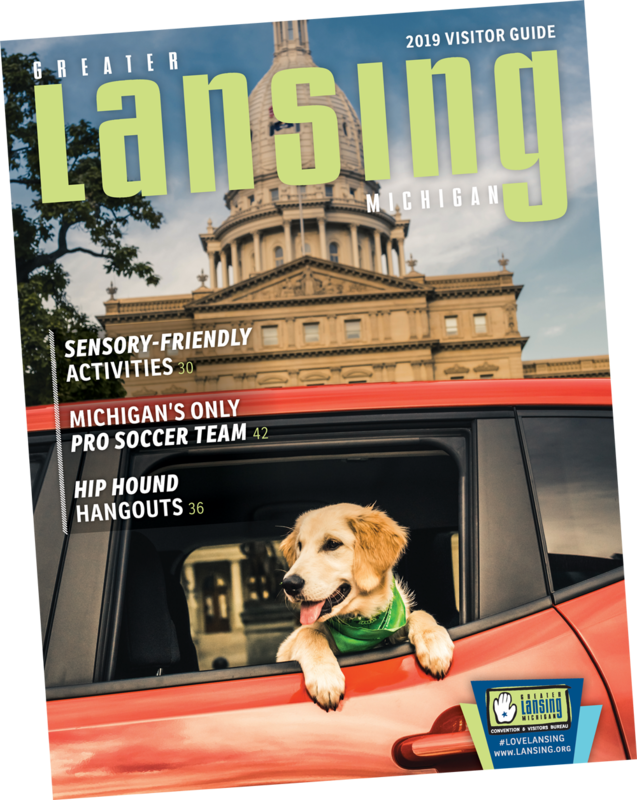 Get the Greater Lansing guide on the go! The FREE Greater Lansing mobile app turns your smartphone into a location-aware travel guide full of maps, info on nearby events, entertainment, dining shopping and more. It's like having Greater Lansing right in the palm of your hand. We are happy to provide assistance and suggestions for group entertainment, theme parties, unique tours, speakers and more. 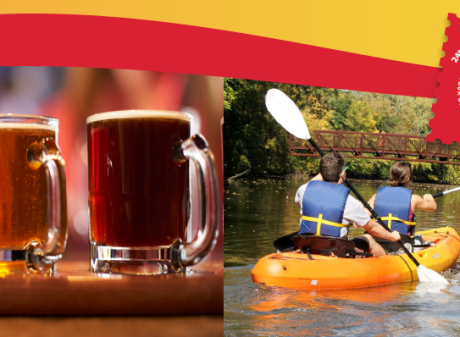 The Greater Lansing Tourism Ambassadors Program is a multi-faceted initiative that serves to increase the quality of the visitor experience by educating and inspiring front-line hospitality employees. When you ask questions about our community you'll be talking to someone that knows our region and truly cares about your visit. Look for the CTA star lapel pin and expect first-rate customer service! A growing trend in the meetings and conventions industry is a desire on the part of the visiting group to do some sort of community enrichment event that benefits an organization within the host city. We are able to connect you with dozens of worthwhile charities and causes. Consider us an excellent resources for ideas and facilitation of any kind of off-site function associated with your event. Group attendance of a sports event? A special reception in a unique venue? A private VIP tent at a festival, concert or special event? No problem! Looking for the dining options in close proximity to your event's host hotel(s)? Look no further! We have maps of area hotels populated with nearby eateries of every kind. Take advantage of our Greater Lansing Dining Guides, full of great coupons and discount offers for restaurants and eateries across the region. Smart planners always collect feedback and testimonials when meetings and events wrap up. Let us help make that easy with our online survey function! Be a Tourist– It's not just for kids!